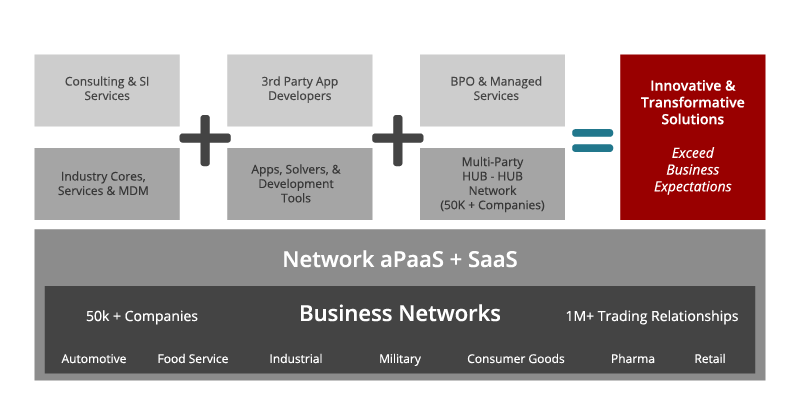 Move beyond the legacy idea of “My Enterprise App for My Enterprise” and think of providing outcomes and supporting services that bring benefits for each party on a trading network HUB. This is a phase shift in thinking and solution formation that will change the way IT, consulting, BPO and SI providers deliver services and solutions. New business models demand that IT provide services that enable business driven configuration of trading networks and the types of business collaborations and common goal optimization that move all parties towards common customer centric goals. Consulting firms are provided with solutions training to allow expert guidance to customers regarding our platform, existing solutions and possibilities. Consulting and BPO partners are already experiencing ONE Network fueled growth in their core businesses and are leveraging our platform to extend services and provide new services to customers. If you have any questions, please email inquiries@onenetwork.com and we’ll get back to you.